Catana Barnes, President of Independent Voters of Nevada, received an advance copy of Independents Rising a couple of weeks ago. She couldn’t put it down. I asked her if she would share her thoughts on the book. Independents Rising hits the bookshelves on August 7th and you can pre-order it today from your favorite on line bookseller. Independents Rising Arriving in Bookstores August 7th. 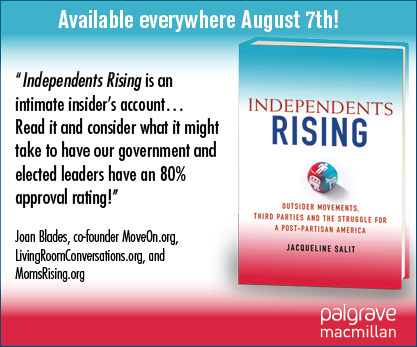 Jacqueline Salit’s book, Independents Rising: Outsider Movements, Third Parties and the Struggle for a Post-partisan America hits the bookshelves on August 7th and is available for preorder now! I have read an advance copy of the book and you are going to love it—it is the history of the progressive wing of the independent movement from Perot to Bloomberg. This is our next book club selection. I will posting advance reviews and updates as we head toward the release of the book. On Sunday evening, 4o independents from 14 states joined our call to discuss THE CAUSE by Eric Alterman and Kevin Mattson. Harry Kresky and Dr. Omar Ali joined me as discussants. The book covers a mammoth swath of American history from FDR to Obama and traces the players and history of Liberalism. If you missed the call you can still listen in. Personally, this is a book that I am glad to have on my bookshelf, a reference I am sure to return to. If you had a question or comment that you did not get to share on the call, please post a comment here. 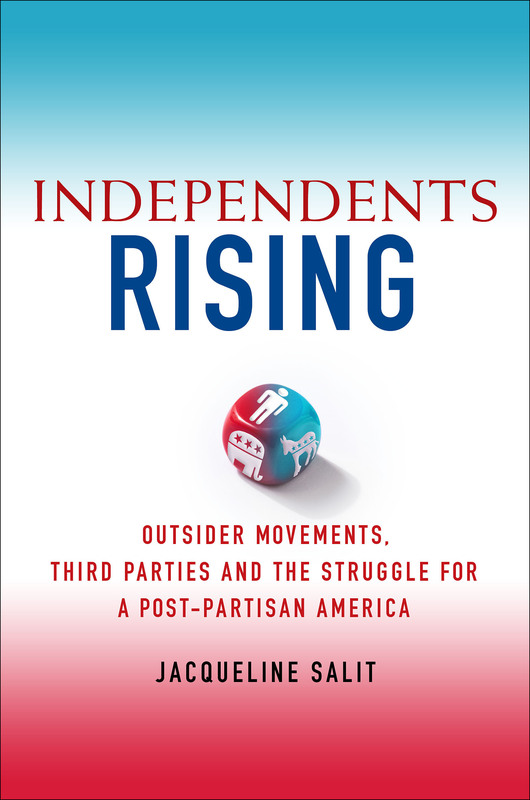 Our next selection is Independents Rising: Outsider Movements, Third Parties and the Struggle for A Post-Partisan America, written by Jacqueline Salit. The book hits bookstores on August 7th, but is available for pre-order now. The book traces the history of the progressive wing of the independent movement from the Perot era through the present day. Jackie offers a narrative of why 40% of Americans are independent of the two parties and what brings independent voters together. The book is our story told by a master storyteller and a key national leader of the independent movement. Stay tuned for reviews and news about the book. In September, we’ll have our next conference call to discuss Independents Rising. belletrist—a writer of belles letters, literary works valued more for their aesthetic qualities than for any informative or educational content. anomie—social instability resulting from a breakdown of standards and values; also : personal unrest, alienation, and anxiety that comes from a lack of purpose or ideals. revanchist—one who advocates a policy to recover lost territory or status. This morning I spoke with our two book club discussants, Harry Kresky and Omar Ali. They will be joining us on Sunday’s call at 6 pm EST. We had a fascinating discussion of our selection, THE CAUSE and I can’t wait to bring you all into the conversation Sunday. The call in number is 712 432-3066 and the Passcode is 636053. In May, I had the pleasure of interviewing former Congressman Mickey Edwards and Jackie Salit at a live Politics for the People in Manhattan which was broadcast by CSPAN. It was Mickey who recommended THE CAUSE to me. Below is his review which appeared in The Boston Globe in April when the book first came out. One need not subscribe to all of the Left’s grandiose ideas for remaking America to grant that it has been largely responsible for much of what is actually best about the United States of the 21st Century (civil rights laws, universal suffrage, environmental protection, the 40-hour work week, food safety). And despite the rhetoric one hears too often, this has not been the work of “Kenyan socialists” (who would have thought Kenya would replace France as the great bugaboo of the right!). Most of the men and women who have brought us this government-centric vision aren’t really socialists at all. In short, the American liberal has quite a story to tell and even those of us who think of ourselves as the real liberals (advocates of individual liberty and constrained government) owe it a hearing. Amazingly, it is a story that has largely gone untold except for the work of biographers who have given us portraits of FDR and Truman, LBJ and Martin Luther King, but who have neglected to reach much beyond their subjects to place their efforts in a larger context. In recent years, book shelves have become heavily laden with stories about the growth of the conservative movement and the underlying philosophies (libertarians, neocons, traditionalists) and personalities that have been at its heart. I even contributed a slim volume of my own, “Reclaiming Conservatism,” as a part of that conversation. The Left, though, save for the periodic attempt by a Bill Galston or John Podesta, has been relatively silent when it comes to putting its own story out there. Sylvia Nasar’s “Grand Pursuit” does a good job of it, but hers is a story of economics and gives equal voice to the leading conservatives in that profession. Beyond that, the Left has been satisfied with people like Thomas Frank and Michael Moore, who offer an abundance of heat but little light. What a relief it is, then, to read Eric Alterman’s superb new book, “The Cause: The Fight for American Liberalism From Franklin Roosevelt to Barack Obama.” (Kevin Mattson is billed as a second author but had to drop out of the project early, leaving this mostly Alterman’s work). Rather than seize on high-profile victories, the book moves chronologically through the advances, false starts, missteps, and triumphs of the decades that followed FDR’s inauguration. The leading characters in the unfolding liberal play are woven into the story, along with the conflicts that sometimes accompanied them. Because it is a history, set in the context of the times and the players, Alterman doesn’t weigh the book down with ex post facto arguments — what is gained now, in the 21st century, from making the case for Social Security or assailing its critics? — but treats the need for government intervention as a given and lays out how the ensuing policies were shaped and realized. Alterman, despite his strongly held views, does not rant; he knows what liberalism is all about, why it matters, and why, in his view, it should be the basis for American governance. He is an intellectual, not a flack, and his book is long (more than 500 pages), dense, and complex, full of events, decisions, and big personalities. But it would be a mistake, whether you are a conservative or a liberal, not to read it. 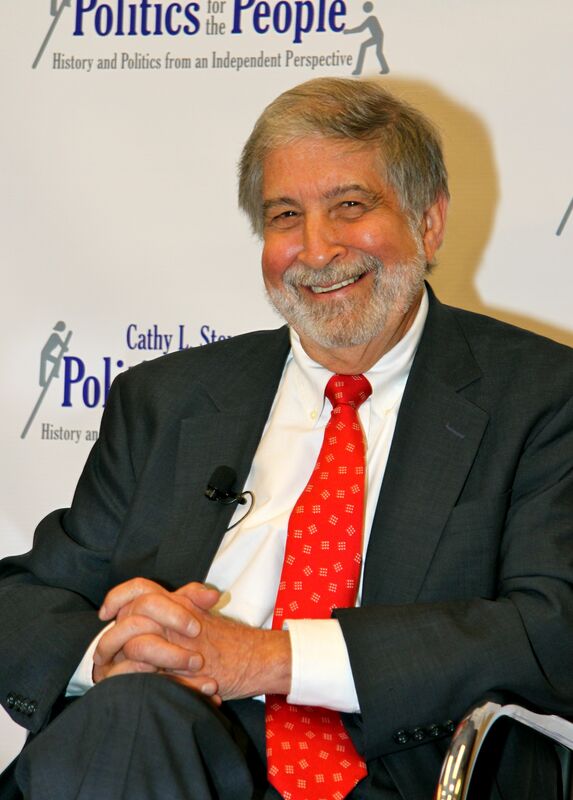 One of the great strengths of Alterman’s story — a mix of history, biography, and political philosophy — is the straightforward way in which he discusses the movement’s challenges as well as its goals and its triumphs: problems created by the antiwar movement and charges that the Left was soft on communism and national security; tensions between Democrats’ “twin constituencies of blacks and working-class whites”; the McCarthy-Kennedy challenges to Lyndon Johnson; conflicts between Betty Friedan and Gloria Steinem over the direction of feminism and Friedan’s ouster as president of the National Organization for Women. In Alterman’s portrait, one can trace the development of ideas that have had great impact on modern society — IsaiahBerlin’s notions of “negative liberty” leading to William O. Douglas’s conception of a right to privacy among “penumbras” in the Constitution and ultimately to the Supreme Court’s decision in Roe v. Wade. Here, too, are John Rawls and the communitarian Michael Sandel at odds over claims of social obligation and individual rights. Like the most admirable of true believers, Alterman does not feel it necessary to hammer away at the arguments of others. He has his opinions — he is among the best known, and best, of today’s liberal commentators — and one can find his views easily enough in these pages, but he is content to let liberalism speak for itself and to show us how it came to be and why it has enjoyed the support of so many Americans. In these pages you can argue with or cheer for the people and the ideas that underlie so much of what we today take for granted — I would happily take up some of those debates myself — but if your goal is to learn about, and understand, one of this country’s most potent political forces, this book belongs in your hands. 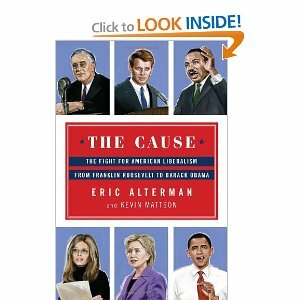 On Sunday evening at 6 pm EST, we will discussing THE CAUSE by Eric Alterman and Kevin Mattson. I have invited two national leaders of the independent movement as discussants. 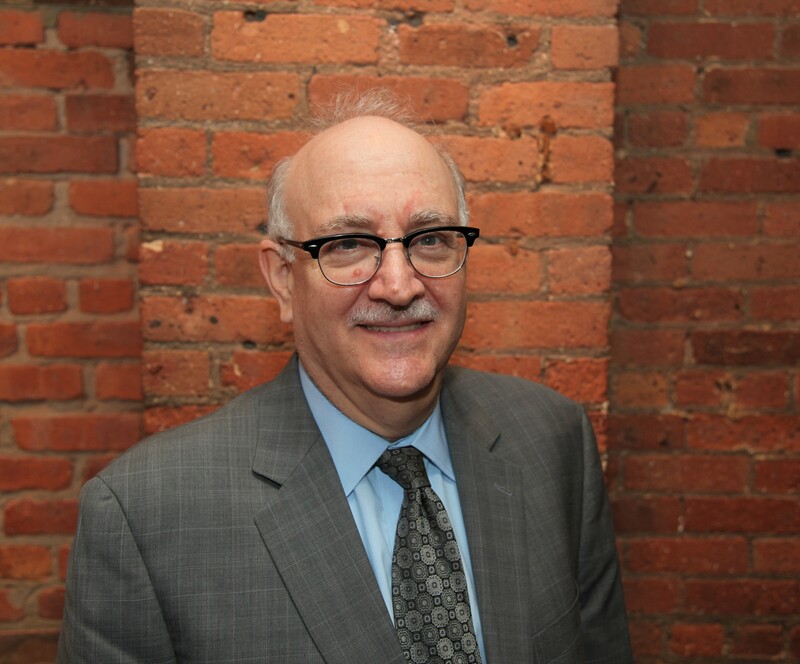 Harry Kresky is an attorney and the country’s leading expert on nonpartisan political reform. Dr. Omar Ali is a historian and professor of African American studies at the University of North Carolina at Greensboro. Look forward to speaking together! And come back by tomorrow for some of Dr. Ali’s thoughts about The Cause.